Birth asphyxia is a serious medical problem that occurs in approximately four out of every 1,000 children in a full-term birth. 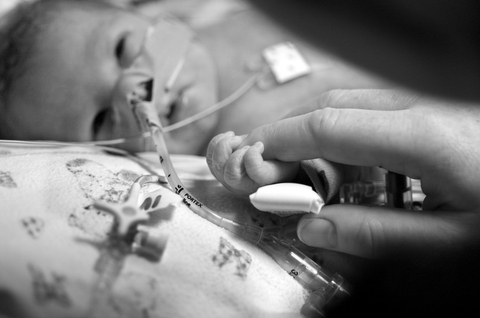 For babies born prematurely, the complication is even more likely. In the U.S., birth asphyxia accounts for 14.4 infant deaths for every 100,000 live births. It is the tenth leading cause of deaths among newborns. Worldwide, four to nine million incidents of infant asphyxia are reported on an annual basis, making up about 20% of the global infant mortality rate. Eisbrouch Marsh are birth injury lawyers committed to families whose babies have suffered otherwise avoidable health problems as a result of delivery room teams who fail to recognize this most serious sign of fetal distress. By holding those who commit such errors liable for their negligence, we strive to bring justice to those harmed as well as set a higher standard for medical personnel charged with identifying and reversing fetal asphyxia. Fetal birth asphyxia, also called asphyxia neonatorum, occurs when a newborn does not receive oxygen. This respiratory failure can occur before, during, or after the birth. Clinically, it is often defined as the failure of the newborn to breathe normally within one minute of the delivery. When a newborn doesn’t receive enough oxygen, his cells – including those in the brain – cannot function properly and he is at risk of further complications, both temporary and permanent. There are many potential causes of birth asphyxia. It may occur when the mother does not have sufficient oxygen levels during the birth or prior to it. It may also occur when the baby is anemic, which means the child’s blood cells cannot contain sufficient amounts of oxygen. It is the responsibility of the attending healthcare professionals to recognize the signs of fetal distress, such as birth asphyxia, and to act promptly to prevent the newborn from sustaining temporary or permanent birth injuries. When proper protocol standards aren’t followed, families may decide to file a birth injury lawsuit to pursue just compensation. The lawyers of Eisbrouch Marsh understand that no amount of money can undo the damage from a birth injury. However, compensation awarded in a medical malpractice lawsuit means that your child can receive the best medical care and attention he deserves. Our trial lawyers are dedicated to protecting the legal rights of families who have been the victims of medical negligence. Healthcare professionals present for the labor should be alert to the potential indicators of birth asphyxia. When the baby is born, his breathing should be evaluated. Failure to breathe or weak breathing indicates this medical complication. Additionally, the child may present with bluish or pale skin tone. The indicators of birth asphyxia should rapidly be detectable when the Apgar score is given. An Apgar score assesses multiple areas of health for the newborn, such as the muscle tone and heart rate. An Apgar score of zero to three can mean the child has birth asphyxia. Doctors recognize two stages of injury in newborns with this complication. Within minutes of not receiving sufficient oxygen, cell damage begins. This is the first stage. The second stage, which occurs after sufficient oxygen levels are restored, can persist for days or weeks. It is known as reperfusion injury. The second stage is caused by the release of toxins from the cells that suffered damage. If a child has mild to moderate asphyxia, the prognosis is favorable and a full recovery is generally expected. However, if the lack of oxygen persisted for too long, the child may suffer additional complications. Permanent damage can occur to the brain, lungs, kidneys, heart, and multiple other organs. The child may be diagnosed with cerebral palsy, vision impairments, attention deficit hyperactivity disorder (ADHD), and other developmental disabilities. In extreme cases, the infant may suffer organ failure and may not survive. The standard of care differs depending on the severity of the birth asphyxia. When a child has a mild case, he should immediately be given breathing support until he can breathe naturally. Then, monitoring is necessary. A child with severe asphyxia will require more intensive treatment. The newborn’s airway may need to be gently suctioned to remove obstruction, and the baby may need to be resuscitated. Then, he should be placed on a ventilator and given respiratory therapy. The child will also need treatment to maintain proper blood pressure and avoid seizures. Physicians should be alerted to the potential indicators of a high risk pregnancy, and should take steps to minimize the risk to both mother and child. Giving the mother oxygen therapy before delivery can reduce the risk of birth asphyxia, for example. Prompt treatment to clear the airways and stimulate breathing in a newborn can help prevent permanent damage to the child’s organs. The lawyers at Eisbrouch Marsh have helped countless families navigate the difficult process of dealing with a devastating birth injury. Our legal team has five decades of combined experience in bringing negligent physicians and hospitals to justice. Our extensive resources include an in-house nurse and specialized investigators who will work tirelessly to safeguard your family’s legal rights. Call us today to schedule a free, confidential evaluation of your case. We’ll explain your legal rights and discuss your options. Our firm never collects a fee unless we win or settle your case.